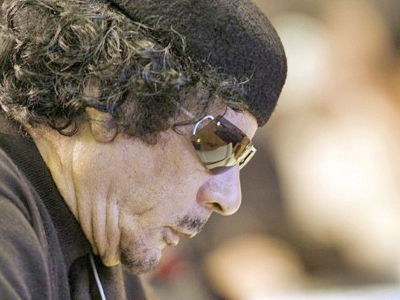 Global reaction to Gaddafi’s death: Justice or Danse Macabre? 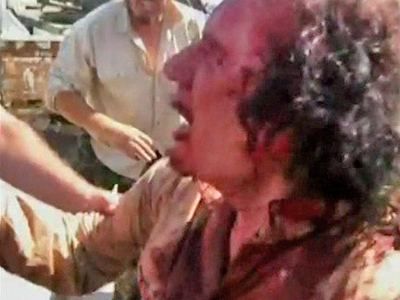 Longtime Libyan strongman Muammar Gaddafi is dead and gruesome images of his killing have been shown by the media worldwide. 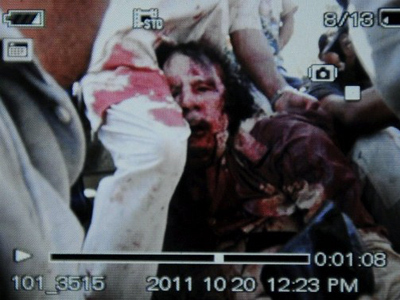 His death has sparked a jubilant reaction among anti-Gaddafi Libyans and has been welcomed by world leaders. UN Secretary General Ban Ki-moon said that the day of Gaddafi’s death marks a historic transition for Libya. In a speech given in front of the White House, he said “the dark shadow of the tyranny has been lifted” in Libya and a “long and winding road to democracy” is ahead for it. 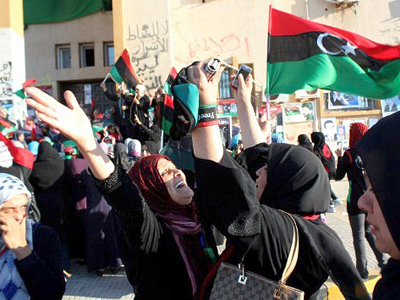 “You have won your revolution,” he told the people of Libya. Libya’s Prime Minister Mahmoud Jibril said that following the death of the colonel it is time for Libyans to launch a new, united Libya. British PM David Cameron pointed out that it is a day to remember all of Colonel Gaddafi's victims. “From those who died in connection with the Pan Am flight over Lockerbie, to Yvonne Fletcher in a London street, and obviously all the victims of IRA terrorism who died through their use of Libyan semtex,” he added. 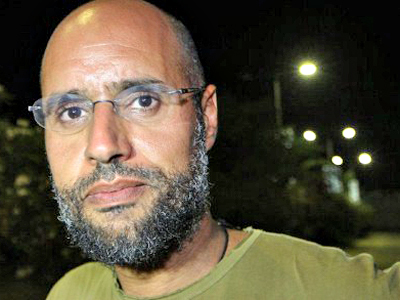 Gaddafi’s most wanted son killed or captured?